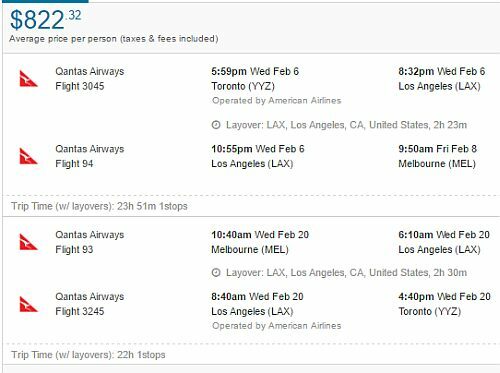 Qantas has once again dropped the price of their flights from Toronto to cities in Australia, this time down to between $817 and $850 CAD roundtrip. - look for the dates that are somewhere between $915 and $931 roundtrip. - the price on Skyscanner or Flighthub will usually be around $75 to $125 cheaper than what you see on Google Flights. NOTE: The first search result on Skyscanner or Flighthub may not always be the best / fastest flights. Check out the different options on the first page of the results. For example, let's say you found a flight from Toronto (YYZ) to Sydney (SYD), from Feb 13 to Feb 27. 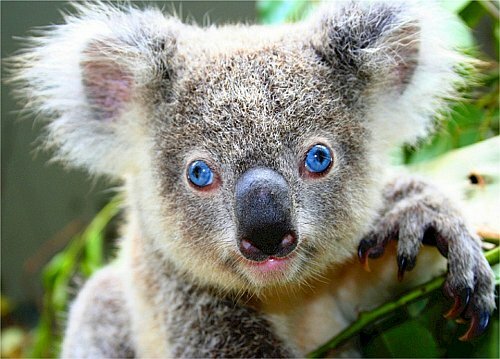 4 Responses to "Toronto to Sydney, Brisbane, or Melbourne, Australia - $817 to $850 CAD roundtrip | 2019 dates available"
Chris, I'm looking to travel in May 2019. Should I wait for the sale to be extended to May? Thanks. Unfortunately one can't really predict with absolute certainty what the airlines will do, but I can tell you that last year Qantas did offer a price drop for May and June 2018 travel (down to $980 roundtrip). They dropped the price of those flights in September of 2017.